Electric Cylinder - Duff-Norton manufactures SuperCylinder™ electric cylinders, mechanical actuators(screw jacks), linear actuators, ball screw and machine screw actuators, electromechanical actuators, rollerscrews, rotary unions (rotating joints), and air jacks. 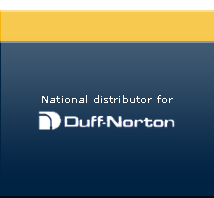 Duff-Norton offers the industry's broadcast range of high capacity electric cylinders. From 2 tons to 25 tons choose from clevis or trunnion mounting; offset, right angle, parallel, in-line mounting; standard or stainless steel housings, with speeds ranging up to 380 inches per minute. 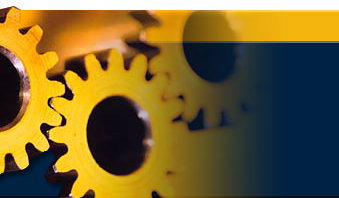 Duff-Norton electric actuation products are specially designed for a variety of commercial and industrial applications. These actuators are used for opening and closing, tilting and pivoting, lifting and lowering and positioning. Applications include gates, dampers, oven and processing tank doors, antennas, orthopedic tables and other medical equipment, ergonomic furniture, and agricultural equipment, etc. Custom design is also available for special applications. Electromechanical linear actuators are now being used in place of pneumatics and hydraulics when high maintenance and environmental problems (leaking hydraulic oil) are a concern. 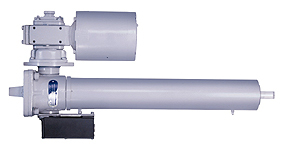 Duff-Norton offers the new SCN Series SuperCylinders™ in addition to the already popular SCW Series. The SCN Series combines the ball screw driven translating tube system with trunnion mounted, high efficiency helical or helical-bevel, oil filled gearboxes. The SCW Series combines a ball screw or ACME screw driven translating tube system with our existing clevis mounted worm gear actuators. Both Duff-Norton SuperCylinder series use a precision guided translating tube system to broaden application capabilities. A ground and chrome plated translating tube sliding in polymeric bearings produces excellent resistance to buckling. This lets SuperCylinders achieve stroke lengths much greater than are possible with conventional double clevis mounted mechanical actuators. 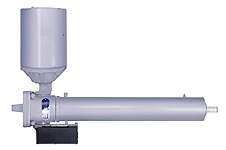 Enclosure of the screw by the tube system shields it from environmental contaminants and retains lubricants, requiring less maintenance and allowing longer service. SuperCylinders use hydraulic cylinder grade wiper seals to effectively exclude dirt from the screw area. The modular concept employed by Duff-Norton for both SuperCylinder series allows an unlimited number of configuration possibilities for tailoring of the SuperCylinder to an application. The selection of available gear ratios is unmatched by any similar product. This exceptional choice of ratios allows precise tailoring of the actuator speed and load specifications. Many additional motor and ratio options are available to meet specific capacity, speed, or life requirements.